Folksy :: Buy "So Sweet Teddy Adjustable Ring "
Butterfly Teddy adjustable ring is a silver-plated ring shank with gorgeous glass tile design. 5/8". 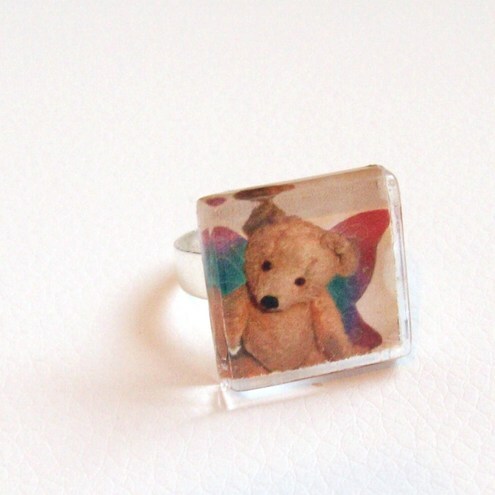 This lovely teddy with butterfly wings ring travels in a pretty gift bag via 1st Class Royal Mail. Folksy :: Buy "Little Kitten Vintage Style Adjustable Ring"
Folksy :: Buy "Love Birds Vintage Style Adjustable Ring"